Lot 5 Brass Oval Steam Locomotive Worksplate. 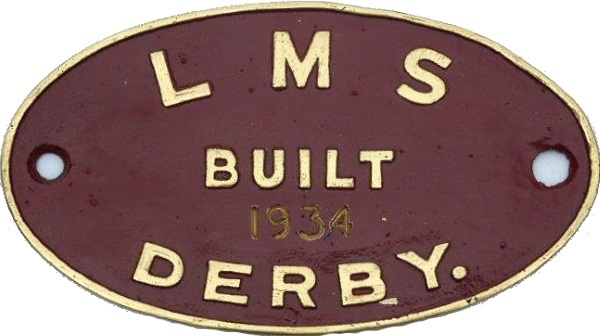 "LMS - BUILT DERBY 1934". As carried by an LMS Black 5 No 45060 loco. Allocations included Crewe South, Stoke, Bescot. Wdn 3/67 - Cut 10/67. Restored condition.